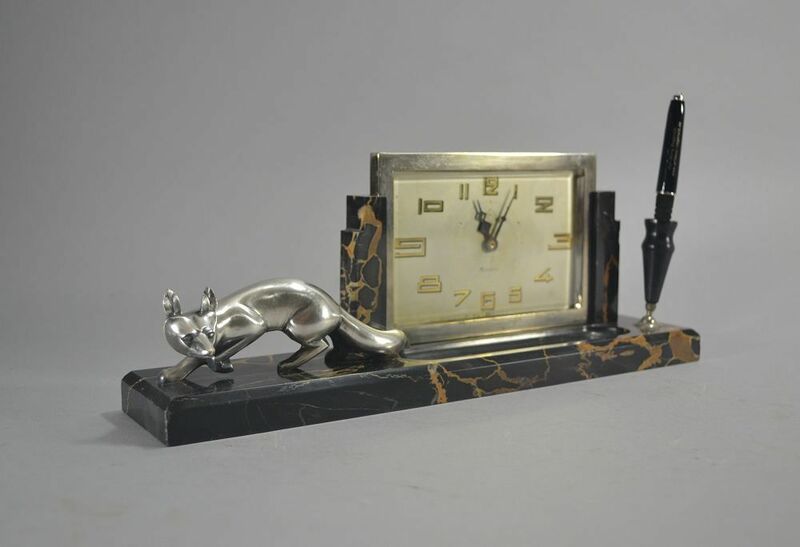 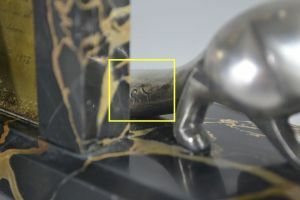 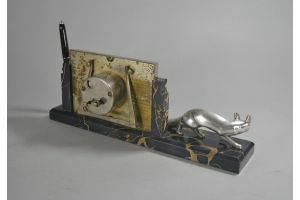 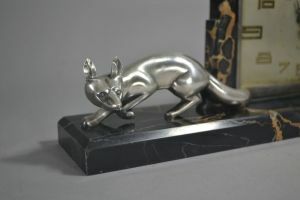 A rare referenced art deco clock with silver plated fox signed G.L. for Georges Lavroff. 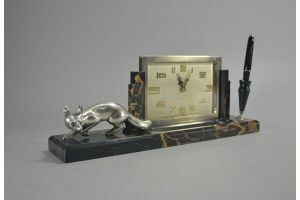 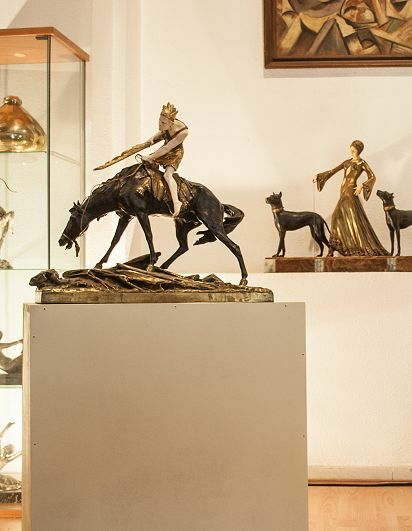 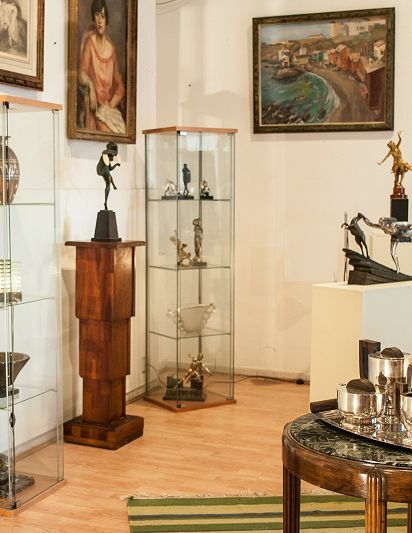 Illustrated in Pierre Kastelyn and Claude Mazzucotelli book "Les Bronzes Art Deco de Georges Lavroff" page 26 ref PE15. Excellent condition for fox and portoro marble base. 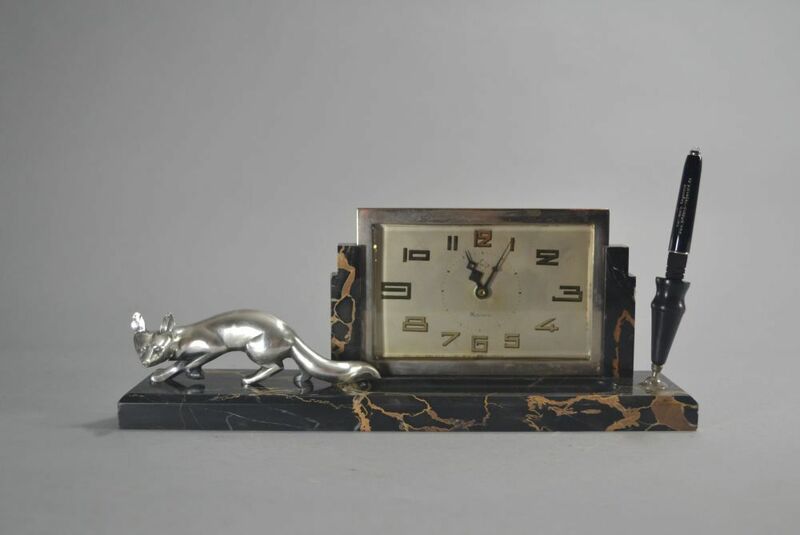 Clock shows some wear.